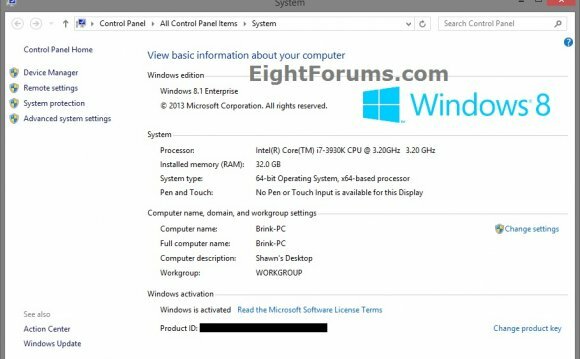 Shows detailed configuration details about a pc and it is operating-system, including operating-system configuration, security information, product ID, and hardware qualities, for example RAM, disk space, and network cards. /s Computer : Identifies the title or Ip of the remote computer (don't use backslashes). The default may be the local computer. /u DomainUser : Runs the command using the account permissions from the user per User or DomainUser. The default may be the permissions of the present drenched on user on the pc giving the command. /p Password : Identifies the password from the user account that's specified by the /u parameter. /fo LIST : Identifies the format for the output. Valid values are TABLE, LIST, and CSV. The default format for output is LIST. /nh : Inhibits column headers within the output. Valid once the /fo parameter is placed to TABLE or CSV. /? : Shows help in the command prompt.